At St Mary’s we believe it is important that all children contribute to their learning and their opinions and views are listened to and acted upon. Pupils from Year 1 to Year 6 learn about democracy and have the opportunity to represent their class on the School Learning Council. Each year, the pupils create manifestos and campaign in the lead up to an exciting election where each pupil votes in a secret ballot, for their class representatives. 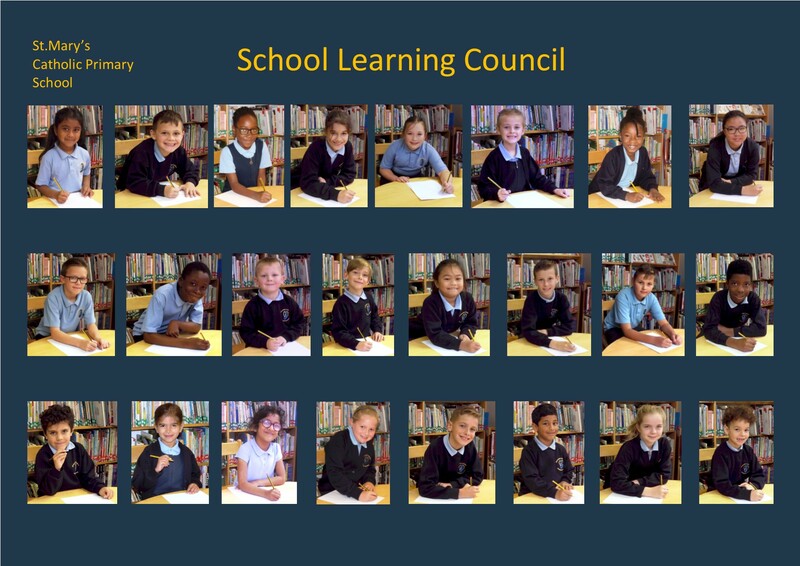 Each class elects two learning councillors who meet regularly with the School Learning Council, to discuss learning throughout the school and represent pupil voice. We evaluate the learning around the school, observing lessons, looking at pupil books and classroom environments. We hold regular meetings to review the pupil’s feedback and share information through termly School Learning Council newsletters. The School Learning Council are also fully involved in organising whole school events such as ‘St Mary’s Got Talent’ and help support fundraising for various charities throughout the year.